It’s finally summer – the perfect time for a refreshing twist on your favorite cocktail blends. Tea enthusiasts turned cocktail extraordinaires are launching their newest brew, featuring cocktail mixers infused with tea blends – perfect for custom crafted cocktails that won’t weigh you down. 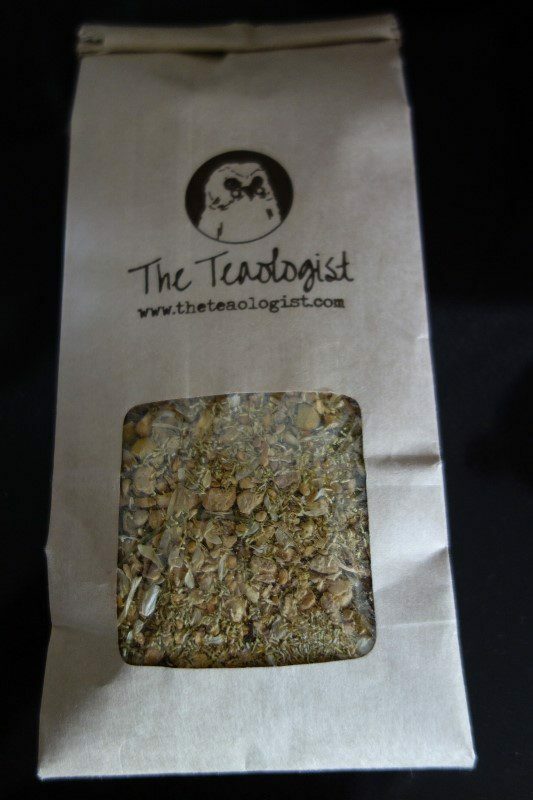 Teaologists Maria Littlefield and Jennie Ripps specialize in developing delicious tea blends with flavor profiles made to compliment the essence of your favorite alcoholic beverages. Creating an innovative and healthier way to make delicious cocktails is what this company is all about. Using their provided recipe guides, anyone can concoct their favorite flavor combinations from home using local teas and ingredients. After sitting down and talking with the teaologists, we couldn’t wait to try these tempting summer brews. We tried Captain’s Brew, their signature cocktail recipe. 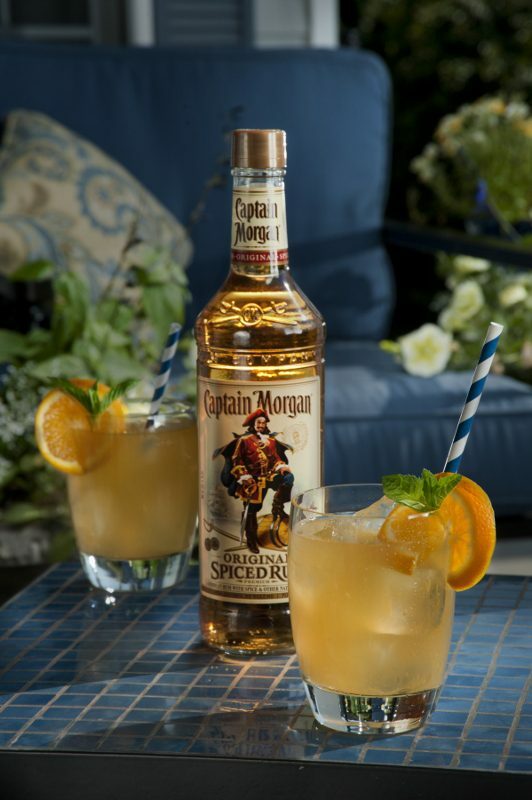 Owl’s Brew has most recently been perfecting the cocktail game with Captain Morgan Original Spiced Rum with the Captain’s Brew loose leaf tea, a blend of ginger and chamomile. This simple yet tasty concoction was surprisingly easy to make and only requires a few key ingredients. Directions: Brew tea base or tea bag in 6-8 oz. of water. Brew hot for four minutes and flash-chill, or cold for one hour. Combine tea with ingredients, shake and pour into Martini Glass, or pour over ice in a rocks glass. Garnish with orange slice. Summer’s heat set the perfect scene and sparked our curiosity about these light and refreshing cocktails. I think our taste buds would agree that these are definitely a new take on a light option. 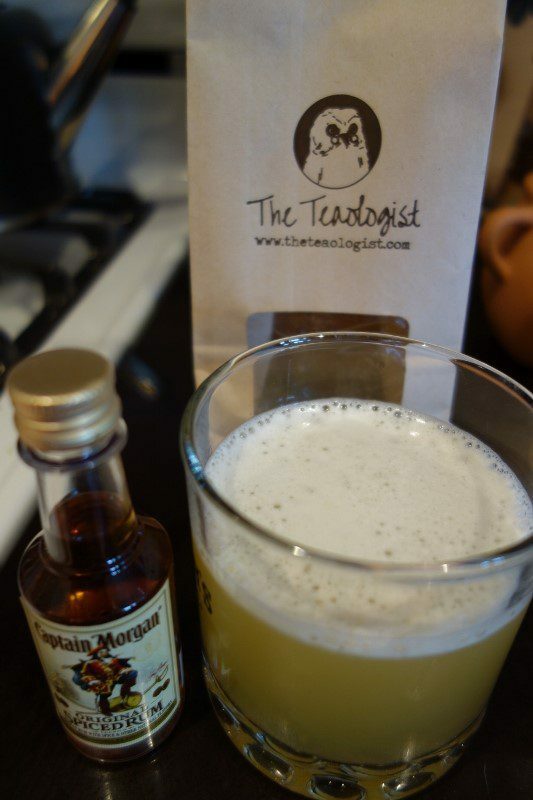 Using a tea base with the spiced rum kept the blend deceivingly aromatic. After having a sip (or two), we could instantly picture this brew featured at a summer picnic or day party by the pool. What we liked best about Owl’s Brew, is the unique twist of making classic, spiced rum into a healthy summer refresher, cheers! Directions: Brew tea base or tea bag in 6-8 oz. of water. Brew hot for four minutes and flash-chill, or cold for one hour. 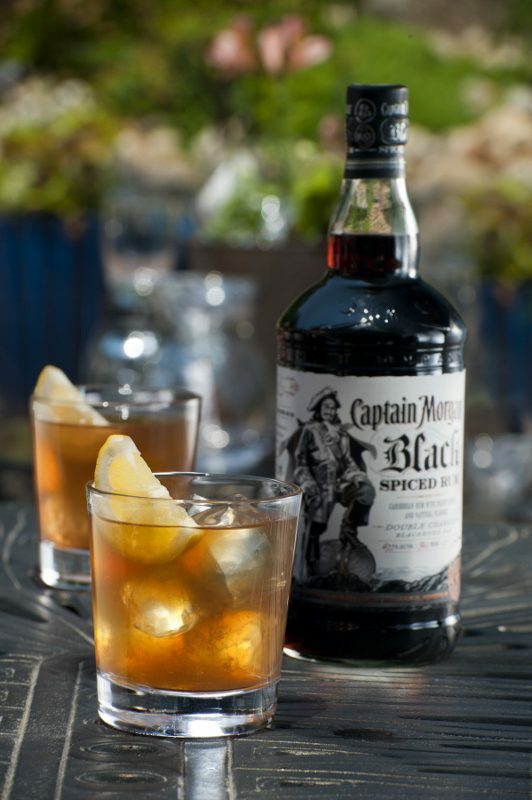 Combine tea with ingredients, pour over ice into Highball Glass (w/ Captain Morgan Original Spiced Rum) or Rocks Glass (w/ Captain Morgan Black Spiced Rum). Garnish with lemon slice. Directions: Brew tea base or tea bag in 6-8 oz. of water. Brew hot for four minutes and flash-chill, or cold for one hour. Combine tea with ingredients, shake and pour into Highball Glass (w/ Captain Morgan Original Spiced Rum) or Rocks Glass (w/ Captain Morgan Black Spiced Rum). If you don’t want to brew your own tea, Owl’s Brew ready to pour tea mixers are made from fresh-brewed spices, fruits and herbs, and are naturally sweetened with agave (meaning nothing artificial). While the wise owl is based out of New York, both loose leaf tea blends and tea blend mixers are available for purchase in their online store, as well as some local retailers. This entry was posted in Cocktails, Lifestyle and tagged Black & Ginger, Captain Morgan, Captain Palmer, Captain’s Brew, cocktail mixes, DrinkWire, Jennie Ripps, Liquor.com, Maria Littlefield, Owl’s Brew, summer cocktails, Teaologists by admin.